William Middleton was born on 1st June 1893 at Backburn, Gartly the only son of William and Ann Middleton. His father was a gamekeeper. He had two sisters. 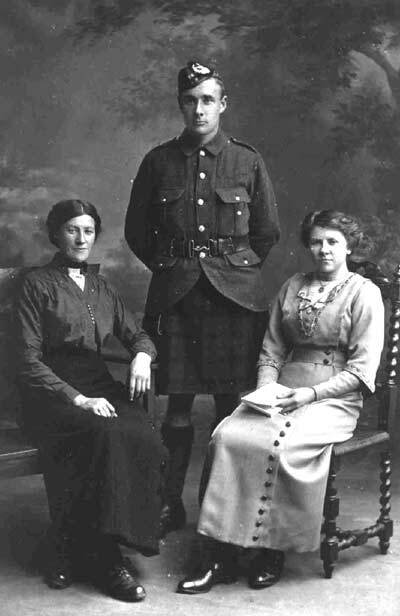 When he enlisted in the 5th Battalion of the Gordon Highlanders at Aberdeen he was working with The Great North of Scotland Railway at Udny Station. He was allocated service number 3672 and it is known he arrived in France, on or before, 27th June 1916. It may be he was involved in the Somme campaign from July to November, he was wounded during the capture of Beaumont Hamel in November 1916. 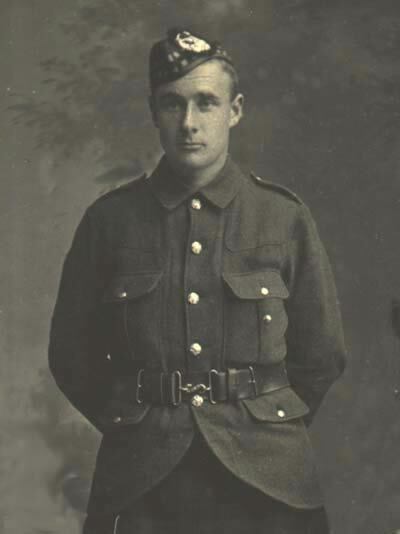 He was later transfered to the 9th (Service) Battalion. His number became 231236 when renumbering took place in 1917. The 9th Gordons was a Pioneers Battalion and it's members would have been involved in general labouring work such as road repairs, construction, etc. in addition to infantry duties when required. From the Battalion War Diaries it is known that in early December 1918 the battalion was repairing roads and working on the Scheldt Canal to the south of Lille. 241236 Middleton W, 'H' Coy is recorded as sick and listed in Field Ambulance on 3rd December. In a later entry that day he recorded as lost from 'H' company strength and 'evac sick'. Willie died five days later on the 8th December at No 1 Australian Casualty Clearing Station of Influenza. Willie Middleton is buried in the Allied Extension of Tournai Communal Cemetery. The Belgian town of Tournai was occupied by the Germans from the beginning of the war until it was liberated on 8th November 1918. Although the Cemetery was later extended by relocated burials from a wide area round Tournai it is likely that No1 ACCS was located near the town after the Armistice. 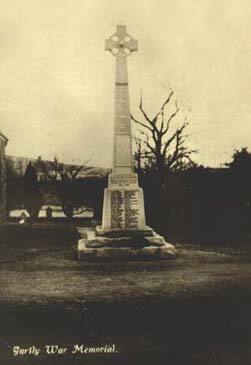 Sick and injured soldiers would have been nursed there and burials made in the local cemetery. The CWGC advise they have no record of his remains being moved to Tournai from another location. William Middleton was awarded these medals for serving his King and Country in The Great War. The British War Medal (left and Victory Medal (right) were awarded to all personnel. The medal takes the form of a solid silver medal with an image of a mounted figure of St George trampling the shield of the central powers with the dates 1914 and 1918 thereon. At the base is a skull and crossbones, symbolic of death, whilst above is the rising sun of victory. The reverse has the coinage head of George V.
It was decided amongst the Allies that a common theme would be adopted and that each country would produce a medal to commemorate the Victory. 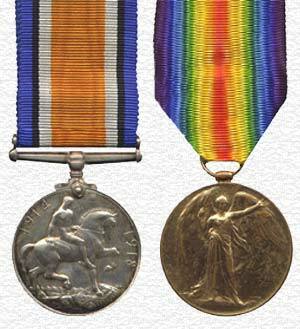 This medal took various forms according to the country but a common item was the rainbow coloured ribbon. The British medal shows the winged victory on the front holding a palm branch in her right hand with the left outstretched. The reverse has the words "The Great War for Civilisation" surrounded by a laurel wreath. The pair were affectionately known as "Mutt and Jeff". It is ironic that he served his country on the bloody battlefields of France and Flanders, where he had been twice wounded by the end of August 1917, but died as a result of the global Flu pandemic which ravaged Europe during the latter part of 1918 and 1919. 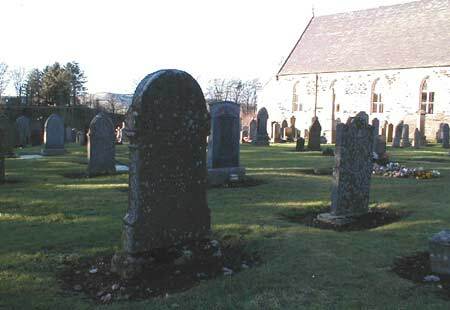 His home parish did not escape either, a large number of it's inhabitants died of the Flu when it spread to Scotland. It was believed the virus was spread throughout the country by returning servicemen. It went on to cause the death of 100 million people world-wide. At the time of his death the family were in the croft of Midton of Cults, Kennethmont having moved there from Little Shanquhar, Gartly. 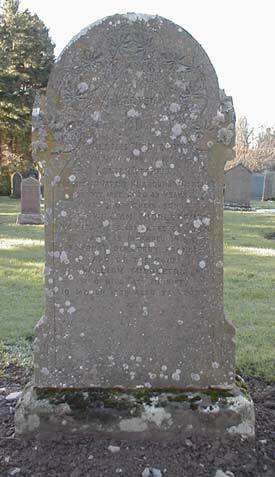 As a consequence of being born and brought up in Gartly but residing in Kennethmont prior to his death William Middleton's name is recorded on both Gartly and Kennethmont War Memorials. It is also on recorded on the GNSR Memorial Roll in the concourse of Aberdeen Railway Station. 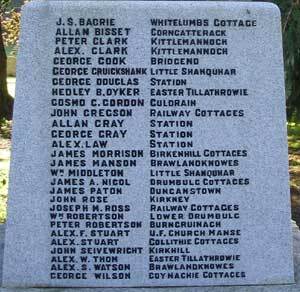 As the Great War progressed the horrific loss of life became only too apparent to grieving communities throughout Scotland, in particular the casualties lost on the Somme battlefields from July to November 1916, many of which had already made plans to erect a lasting memorial to those who had gone off to war, never more to return home. 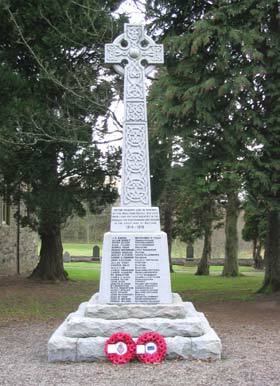 The thoughts of one man, John George 8th Duke of Atholl, however, turned to commemorating all Scots who had fallen in the war. So began, from a meeting In the spring of 1917 at which The Duke of Atholl gathered around him a number of leading and powerful Scots, a campaign to realise his ambitious plan. These included, Lieutenant General Sir Spencer Ewart, General Officer Commanding in Scotland, a devoted Cameron Highlander and accomplished historian; Lieutenant Colonel D. W. Cameron of Lochiel; Sir Hector Munro of Foulis; Lord Balfour of Burleigh and Captain George S. C. Swinton. The Scottish National War Memorial (SNWM) was eventually built within the walls of Edinburgh Castle and officially opened on 14th July 1927 by the Prince of Wales. The King and Queen were its first visitors. or (b) whilst on duty in aid of the Civil Power." For reasons unknown Willie Middleton's name was not forwarded to the SNWM prior to 1927. 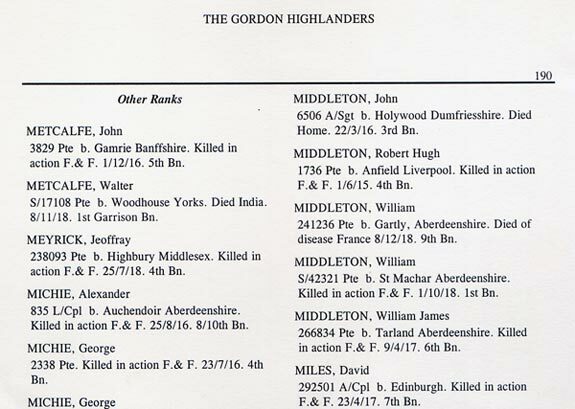 This is most likely due to his name being missing from the official list of casualties published by the War Office in the document... Gordon Highlanders - Soldiers Died in The Great War. No doubt due to a clerical error, this was one of the main sources used by SNWM to compile their Roll. For a variety of reasons such omissions are not uncommon and SNWM records are updated when they are convinced by factual evidence which support the addition of a qualifying individual. Prior to publication of the SNWM Roll on the Internet in recent times the only means to view the regimental records was to visit Edinburgh. I discovered the ommission in 2004 and supplied SNWM with considerable supporting evidence, including his Death Certificate sent earlier this year. In his letter of 8th November 2007 Lt Col I Shepherd, Secretary to the SNWM Trustees confirms that, 80 years after the Memorial was opened, the name of 241236 Pte William Middleton has now been added to The Gordon Highlanders Roll of Honour.